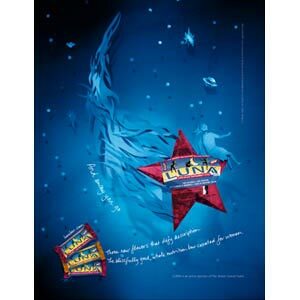 One of a second series of two ads for Clif, Inc., maker of the Luna line of energy bars. The entire set is made of paper, although not everything is origami. You can read their press release here, and the agency's write-up here.